I’m bummed. 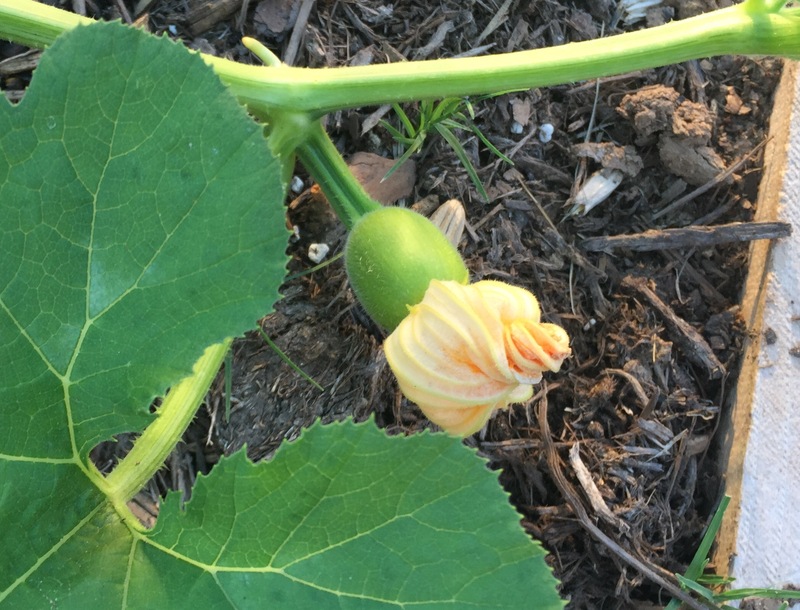 Took a look at Wanda (my wandering pumpkin) after supper tonight, only to find that the tiny pumpkin that was on the vine is no longer there. I think I see the dried little stump where it was, but it’s not anywhere on the mulch or grass nearby. 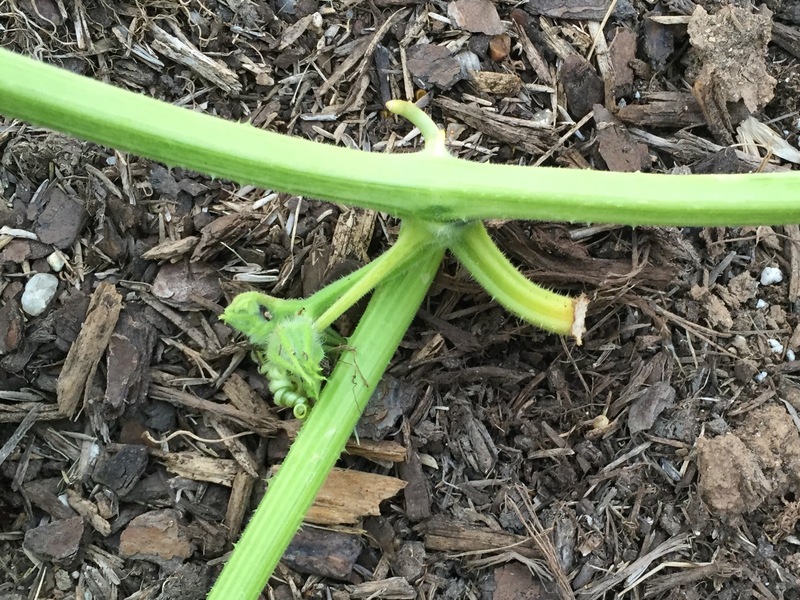 Not sure if bugs or birds would try to carry off a wee green pumpkin, although I’ve never seen that happen. And I know husband moved the vine when mowed the grass last weekend, but I doubt it fell of then. Just seems strange. It was such a cute, little thing.